The Cresuer Touchwave True Wireless Bluetooth Earbuds offer great sound quality, noise cancellation, and up to 12 hours of playback. Apple shocked the world when it removed the 3.5mm headphone jack from the iPhone 7 in 2016. Since then, competitors such as HTC and Google have followed suit. It seems that the death of traditional jack-based headphones is impending while Bluetooth solutions grow more popular. If you own a phone without a headphone jack, or if you’re just in the market for Bluetooth earbuds, there are hundreds of options to choose from. If all you need is a pair that delivers solid sound quality, you can buy the Cresuer Touchwave True Wireless Bluetooth Earbuds for $34.99. The Cresuer Touchwaves are a no-nonsense pair of Bluetooth earbuds that offer excellent audio thanks to their carbon nanotube diaphragms. 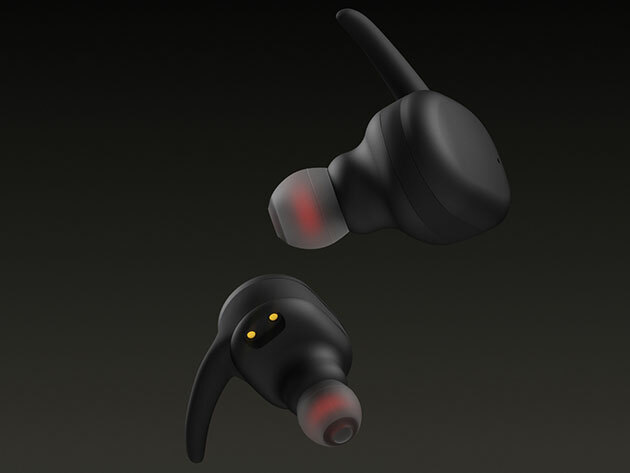 Additionally, each earbud features three different silicone ear tip sizes offering sweat resistance, sound isolation, and CVC Noise Cancellation. The Cresuer Touchwaves offer up to 3 hours of playback with a single charge, and up to 12 hours when paired with the wireless charging case. This makes them ideal for a lengthy gym session or for a full workday, including your commute. You’ll typically pay $100 for the Cresuer Touchwaves, but you can find them on sale in the Macworld Shop for $34.99, or 65% off.